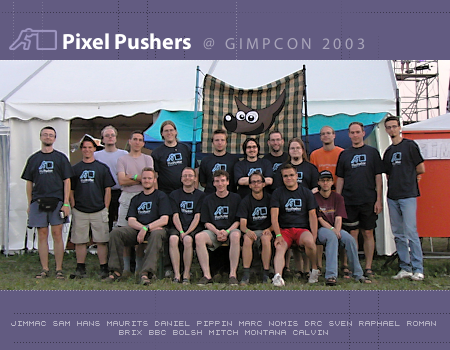 The second GIMP developers conference took place the 7/8/9/10th August 2003 at the Chaos Communication Camp. 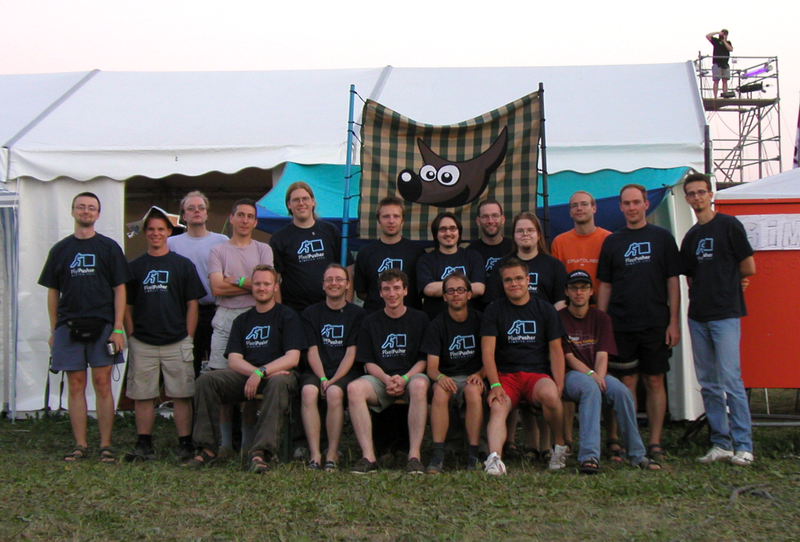 The Camp was an international, four-day open-air event for hackers and associated life-forms on a field near Berlin, Germany. The GIMP developers joined this event and set up a GIMP tent to get together and discuss the future of GIMP development. Summaries of some of the discussions held there are available here. We'd like to thank the Free Software Foundation, O'Reilly Germany, MacGIMP, FlamingText and the Chaos Computer Club. Without their support this meeting wouldn't have been possible.